What a day! According to our stats, there were nearly 1500 tweets that shared the #SuperDogPics hashtag. Dogtipper and I thoroughly enjoyed sharing the photo tips of Brett Chisholm, of Life+Dog, and the artistry of Missy Johnson, from Dogs for the PAWS. These two guests were a class act and our partiers enjoyed them thoroughly. Photo questions were flying high and Brett had all the answers, backed up by Paris, who is no camera novice herself. 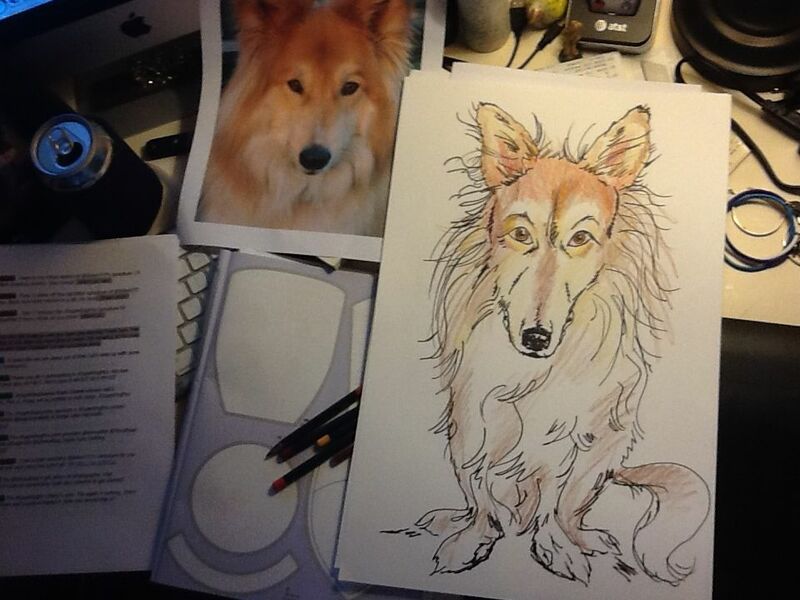 Missy Johnson provided exciting entertainment by drawing a Live Caricature of one participant's dog, and posting images as she went. This was a popular feature of the party and two of our participants won an 11 x 17 framed caricature as a result of her participation. What a grand event! Prize providers, in addition to one "take a bow" prize from our Super Dog Sunday Charity Sponsors, included Sugar Chic Couture, Arenus Botanicals, Life+Dog magazine, Etsy shop Gypsy Eyes Clothing, Terra Paws, sponsors Dogtipper and All Things Dog Bog, and guest artist Dogs for the PAWS and Art and Dog Design. In two weeks we'll be hosting a photo contest for your NFL-themed dog photos. Don't you want to get in on this prize action? 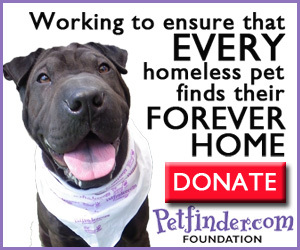 You can join us in support of Petfinder Foundation, by submitting your pics to EventBarkers@gmail.com. If you are a blogger, you'll be able to submit your photo by linking up to the blog hop on February 5, 2012. We'll see you at 8 AM EST and be open through 9 PM EST. Entries at EventBarkers@gmail.com will be accepted until 6 PM EST. Finally, you'll also find this post and other fun mischief at the Monday Mischief Blog Hop, sponsored by My Brown Newfies, Snoopy's Dog Blog, Alfie's Blog, and Luna, a Dog's Life. I'm sure you'll enjoy seeing what they've been up to as well. Happy Monday! All proceeds of Super Dog Sunday and this supporting event, #SuperDogPics go to Petfinder Foundation to support their work with rescue pets. Thank you to our prize providers and guest experts for providing photo tips and live art for our guests to enjoy. We hope to see you at Super Dog Sunday. I had a fantastic time at the Twitter party. The photo tips were great. I was happy to learn some new tips to take better pics of Shiloh. I love Shiloh's caricature! Shiloh will enjoy his goodies too! Thank you! @Shilohsmom: Glad you enjoyed being the subject of a new experiment. Miss will be sending you your 11 x 17 framed caricature shortly. Be sure to send your current address to EventBarkers@gmail.com. Thanks again for coming! Wow, love Missy's work! What a great pawty you had! It sounds like you had a really good time. Missy's work is just beautiful! !